Hi - We are Gianfranco Calcagno and Irina Nikolova and we would like to welcome you to DPTips-Central.com ! If you are interested in photography , you have come to the right place. We are both passionate photographers but approach the subject from different perspectives which we hope will also come across in the resources on our site. For Gianfranco, his camera has been his third eye ever since he can remember and he has been professionally involved with photography over the past 10 years covering a variety of jobs such as photojournalism, celebrity shoots, location work, wedding photography and portraiture work. Irina on the other hand, is a keen digital photography enthusiast. She finds photography an exciting hobby taking her away from her professional work in finance, allowing her to unleash her creative side and have lots of fun in the process. We have been running DPTips-Central.com since 2008 offering a friendly resource for photographers of all levels who want to improve their photographic skills, share their photos, and learn more about the art and technique of photography. Again, welcome to DPTips-Central. We hope you enjoy the site, have fun taking pictures and visit us often! Unless otherwise noted, photos, graphics, and text - Copyright (c) DPTips-Central.com, All Rights Reserved. Some articles are authored by guest contributors. No content or photos may be copied or used without written permission from the author or artist who holds copyright of their work. All advice and information provided on this site is intended to help budding photographers find answers to their questions. However, this site and the persons behind it are not to be held accountable, liable, or responsible in any way for this information or how it is used by the individual. We only accept non-Google sponsorships from providers of high-quality goods or services. I appreciate their recognition and support of this site. Rest assured that the actual content on sponsored pages are independent of any sponsorship or affiliate relationship. To avoid the appearance of any conflict of interest and in the spirit of full disclosure, we identify all sponsored content to you. Please do support our sponsors and recommendations. This site takes time and effort to deliver original content, free, to you. Thank you very much. Our purpose for creating this site is to share the our knowledge, joy and passion for Digital Photography. If you have found this site to be helpful and informative, please do us a favor and share our site with others. We have learned over the years how much word of mouth buzz can help a business survive and succeed. Please e-mail your friends and family and tell them about www.dptips-central.com so they can also enjoy learning about Digital Photography. Simply highlight and copy the HTML code in the box below and paste it where you want it to appear on your website or blog. The link below will open up in its own window, your page will still be open underneath it. This way you will not lose any of your visitors. 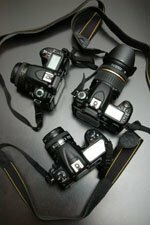 DPTips-Central.com - Digital Photography Tips by and for photographers of all levels. We appreciate your support and thank you for sharing our site with others. Please note: While we would love to use everyone's submissions we cannot guarantee to do so due to the numbers of people who read this site but also because we want to keep the quality of the information high. If you are unsure on whether a tip will be suitable for the site and want to check please feel free to contact us with the idea or even the first paragraph or two and we will let you know if we think we can use it.